Diversity of thought allows a person to accept and respect what another person believes as long as it isn’t hurting anyone. I am a Christian and I am proud of that. When I had no one I had God. I can give testimony after testimony about what God did to save my children and I. Again it was not a human. I understand that some people have had situations that occurred in their lives, where they question God. Some people are so angry at God that it has them blind. There are about 7.3 billion people in the world and 2.3 billion are Christians. So 2.3 billion people are lost? This isn’t slavery time no one is getting beat over the head and forced to believe in Christ. People of different races are Christians. So, all of these people are just blind and they believe in Christ for no reason? I don’t think so. I have had things that have occurred in my life and recently I found something else out. And I am not angry at God about it. God gave us all free will. He doesn’t force us to believe in Him or follow Him. Kind like us wanting people to love us for who we are and not for what we can do. Think about it like this there are some people who don’t believe in God but they all aren’t going to behave the same. Some will think of others but a lot won’t even more so. Why? They lack structure and that’s why they do whatever they want without a care in the world. They lack having a conscience. We can’t blame God for everything and especially not for the people who choose to Not follow Him. Of course they will do evil things their flesh controls them Not God. In my opinion a person can’t allow God in if they are full of themselves. The consequences of not following God is an angry person who has an appetite for destruction. Which is why I am careful of what I allow into my spirit. Evil is Not Good. Evil likes to hide in the dark. Bad things happen in the dark. We can’t walk in the dark which is why we turn on a light. But once the light is on there is no place for evil or darkness to hide. Evil is Not of light. The saying goes “what’s done in the dark comes out in the light” because bad things can hide in darkness. Something to think about. I am not telling all of my life’s story because it’s Not time yet. I will say this much my “father” hated me, he abused my mother, my sister and I, both of my sons (one is autistic) are by the same man who I was married to, we don’t get along and I am a single mother. This is just the tip of the iceberg about my life. Some of the things that has happen in my life were bad choices that I made and Not God’s fault. Some of the worst chapters in my life happened when I wasn’t walking right with God. 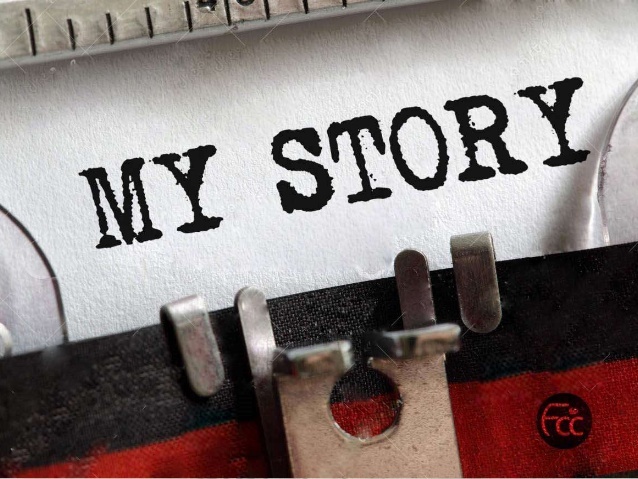 Every life has a story and so does mine. All I know is that there has to be a God with all I have been through and continue go through. I have overcame and endured!!! That’s how I know that God is real. Believe what you will after all we have free will. I choose to believe what’s the harm in believing and having hope? Besides I will not stop having faith it’s the one thing that keeps me going When I Am About To Run Out Of Steam!! !